If a donor finds a charge on their bank or credit card statement that they don't remember making, there's a chance that they will dispute the charge. We've created a process to make sure that this does not happen to your donations. You can personalize the listing that comes up on a bank statement by changing your transaction message. 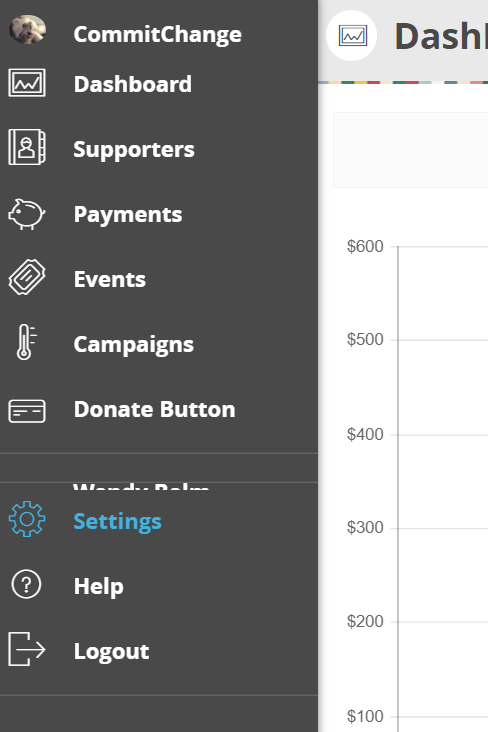 You will find the area to do so in your account settings; access the Settings dashboard by clicking on the icon that looks like a gear in the left-hand Dashboard menu. Click on the listing for "Transaction Message" in the menu that comes up. 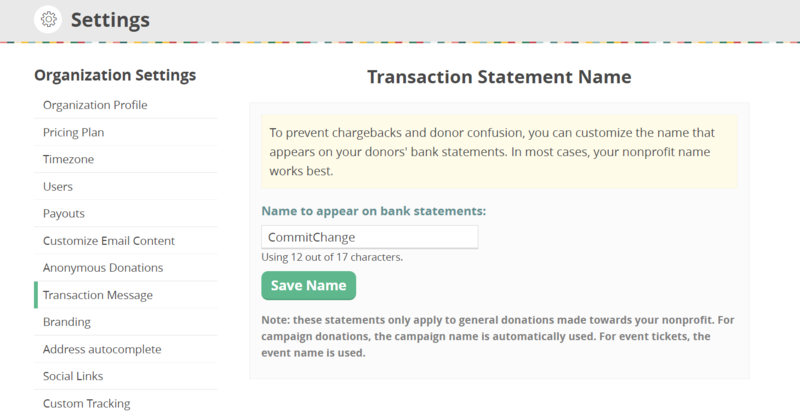 Enter a new transaction statement message that will ensure your donors know it belongs to you. You only have 17 characters, so make sure what you use is recognizable. For example, San Francisco Community Foundation could be "SF Community Fdn."